It's summertime and what better way to celebrate our local resources and your engagement with some of our area's best beach locations for photos-- on the Peninsula and the Southside! We know the population of Hampton Roads gets pretty high up there between the months of May and September, so we have rounded up the spots that tend to historically have fewer people than the Oceanfront… making it perfect for you and your photographer to capture some special moments! We don't really associate the Colonial Capitol with beach fun, but College Creek Beach is a really nice option for those who prefer a very quiet and more textured coastline. Right off of the Colonial Parkway, you can have a little walk along the shoreline, get sand between your toes, and enjoy this unique beach along the James River. Photo by Chelsea Anderson Photography. See the full sweet picnic and champagne engagement feature here on Tidewater and Tulle. With its location near the Oceanfront, this little tucked away sandy corner of First Landing State Park is perfect for those who prefer to be down near the Boardwalk. It has driftwood, beach grass, and even little trails into the more forested side of the park. There is a ton of space and a ton of variety! Photo by Kiyomi Photography. 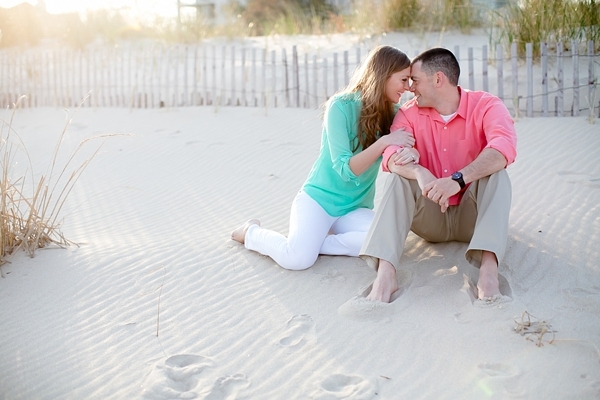 See the full cozy beach engagement feature here on Tidewater and Tulle. This beach gives another Peninsula alternative and guarantees gorgeous backdrops of the Coleman Bridge and unique rocky shoreline. There's a reason it's a favorite with photographers! And if you're a history buff, right around the corner is the Yorktown Battlefield and Victory Center for a change in scenery as well as other walkable historical landmarks and buildings. Photo by Callie Hardman Photography. See the full military engagement feature here on Tidewater and Tulle. If you're looking for a dash of green with some beach houses and sand, Oceanview Beach in Norfolk is the place! A few steps in one direction will have you with sand between your toes and the other direction will have you in a park-like setting. The best of both worlds! Photo by Elizabeth Henson Photos. 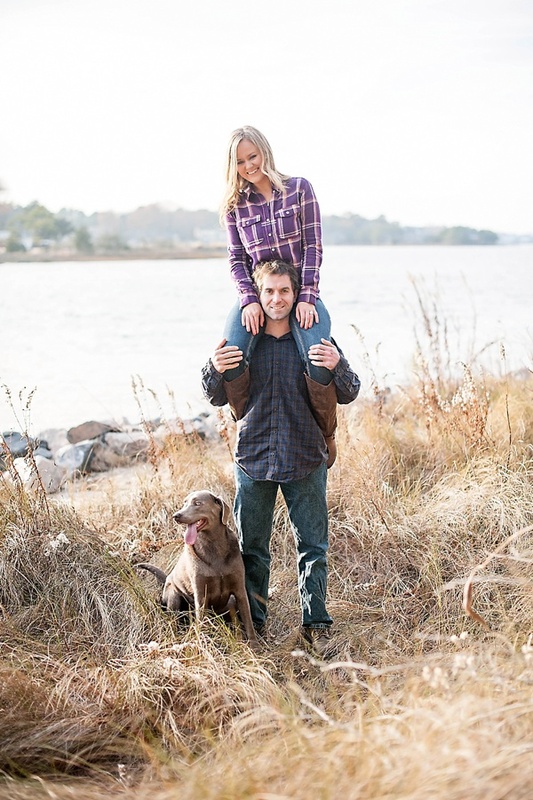 See the full casual and fun engagement feature here on Tidewater and Tulle. If you love piers, this is definitely the perfect beach for you! With a massive one on location, it gives an incredible backdrop to fun engagement moments... no matter the season! Photo by Fowler Studios. See the full chilly weathered-beach engagement feature here on Tidewater and Tulle. Considered the "locals' beach," Chick's Beach gives another Oceanfront alternative with some beautiful beach grass, beach-worn sand fences, and views. There aren't any structures for shade, so this place is best at sunrise or sunset. Photo by Carley Rehberg Photography. See the full colorful sunrise engagement feature here on Tidewater and Tulle. And if you're looking for more alternatives or want to add a second location to your engagement session, definitely head over to our "Hampton Roads Engagement Session Locations" Pinterest board. Loads of great ideas to inspire you!